Vancouver’s new foreign buyer tax did not really come as a surprise. For many local Vancouverites, it was a necessary measure long overdue. For some, it was unwarranted and brash as the tax didn’t “grandfather” existing deals (i.e. contracts signed that are set to be closed after the tax becomes effective). Thus, thousands of unfortunate buyers had to finance additional 15% to close their purchases. Regardless of how you see it, the tax is here to stay and who knows if any other policies will be put in place to cool down Vancouver’s hot real estate market. So, what is the foreign buyer tax? It is 15% of the property value payable by “foreign” buyers, such as foreign citizens, foreign companies and taxable trustees, in addition to the province’s regular property transfer tax. The tax is only applicable in the Greater Vancouver Regional District and nowhere else in BC; and is targeted at foreign buyers purchasing residential property on or after August 2nd 2016. The purpose of the tax is essentially political. The former Liberal government realized there had been a growing concern vis-a-vis foreign buyers causing housing market prices to inflate. In politically-correct Vancouver, the term “foreigners” or “Asian” are code words for “Mainland Chinese”. After years of neglecting what was an escalating affordability crisis, the Liberals decided to show local Vancouverites that they intend to tackle this issue. The tax was their response. Despite the government’s attempt at tackling the unaffordability issue, there remains a significant amount of confusion regarding who is “foreign” in this context. In reality, most of the Mainland Chinese players are not “foreigners” as defined in the legislation for they are already immigrants or Canadian citizens. It is estimated there are at least 50,000 wealthy Mainland Chinese families, roughly 200,000 people, who are either immigrants or citizens of Canada. Consequently, they are not impacted by the tax. Additionally, there are approximately 3 million Canadian citizens living outside Canada, 300,000 in Hong Kong alone, who are not tax residents. They too are not subject to the tax. So, who are subject to the foreign buyer tax? Nearly 350,000 international students (or rather their parents) living and studying in Canada (120,000 of them from Mainland China) together with tens of thousands of foreign nationals residing in and tax residents of Canada are considered “foreign” and are subject to the tax. The general view is that the Vancouver foreign buyer tax will not have a tremendous long-term impact on the Vancouver real estate market as there will continue to be influxes of “foreign” money from China arriving in the pockets of non-“foreign” Chinese citizens and immigrants. However, there were, and will continue to be, significant reactions to the tax’s implementation. Prices decreased 6% in Q4 2016 compared to Q3 2016, mostly affecting single detached homes (condos decreased only 0.6%), while sales have plummeted 21% in the same period across all residential properties. How does Toronto’s new foreign buyer tax compare to Vancouver’s? On April 20th, 2017, the Ontario government announced their initiative to cool down the hot real estate market in Canada’s largest city. The new policies include a 15% foreign speculation tax targeting foreign buyers as well as expanding rent control rules. Majority of the greater Toronto area will be subject to the tax as it applies within the Greater Golden Horseshoe area. The Toronto Real Estate Board announced that prices in March increased 33% compared to the same period last year while condo rents increase 8.3% in Q1 2017 compared to Q1 2016. 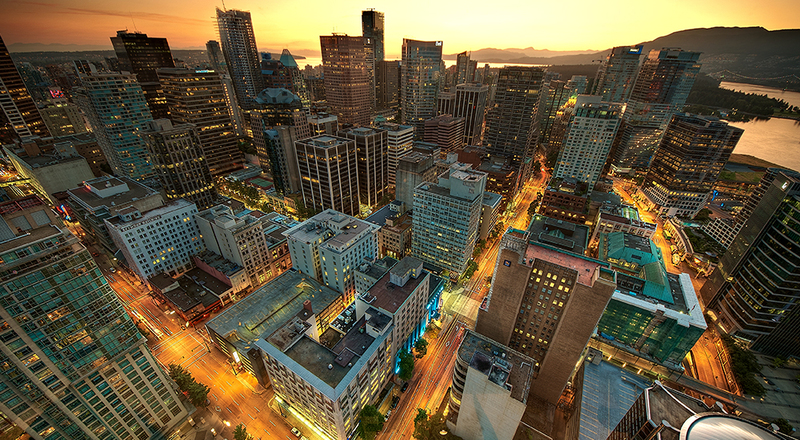 However, similar to Vancouver, the number of pure foreign investors is relatively small, only at about 4-5%. So, is the rapid increase in real estate prices fueled by foreign buyers or by local Canadian residents and citizens? More time is needed to assess the full effect of both taxes, as they are still relatively new and different. Toronto’s tax was implemented while the market was red-hot, whilst in Vancouver it was executed during a period of cooling. In the month following the new policies, the Toronto market experienced a 26% drop in house sales. Vancouver also experienced a period of drastic decrease in sales, especially in the single-detached homes priced above $2mn CAD, but an increase in pre-sale activity and in condo prices. In Q2 of 2017, the sales slump stopped and the market is picking up again. Similar to other major markets in the world, such as Hong Kong and London, following each new policy implementation there is a period of reassessment, which is often mistaken for cooling or consumer hesitation. Sales drop significantly after new policies are put in place, not because the tax is preventing investors from buying, but because investors like to step back and evaluate the policy’s impact on the market. After a period of assessment, investors usually deem the pros of purchasing significantly outweigh the cons, and consequently sales re-emerge. Like every other government policy implementation, one can never be absolutely certain of its longer-term impact. In the case of the foreign buyer tax, the Toronto and Vancouver markets are different and can react to the policy differently. However, the two markets have enough similarities for one to confidently predict the same outcome. If Toronto follows Vancouver’s path, we can expect to see increase in sales activity and prices after a period of consumer withdrawal and analysis. Will these taxes prevent prices in Toronto and Vancouver from going up further? Probably not, as these markets are so attractive that foreign money will continue to find legal means of entering them. Montreal, being the largest market where there is no foreign buyer tax, may experience a spark of interest. The new question ahead is whether governments will implement follow-up policies In Vancouver and Toronto if prices and sales reach or exceed levels previously experienced.